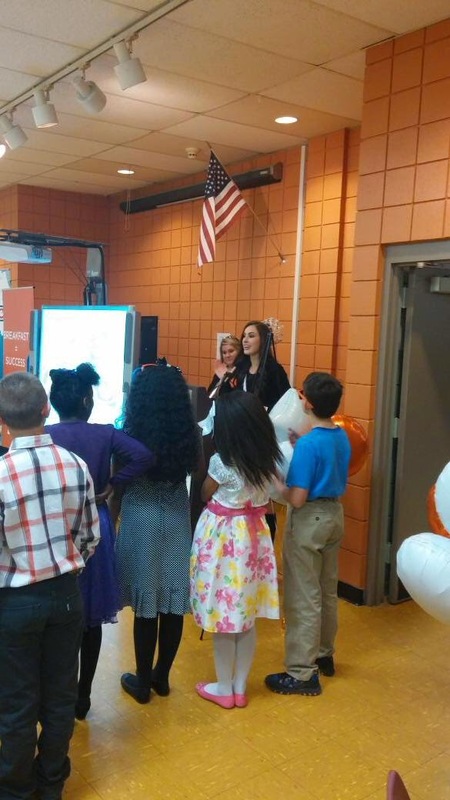 It was such an honor to be invited by the Midwest Dairy Council and the Arkansas Hunger Relief Alliance to speak about school breakfast for National School Breakfast Week during Taylor Elementary School’s Fuel Greatness assembly. Statistics show that only 1 out of every 3 students regularly eats breakfast in the morning. This is so shocking considering the immense benefits that come from a nutritious breakfast! 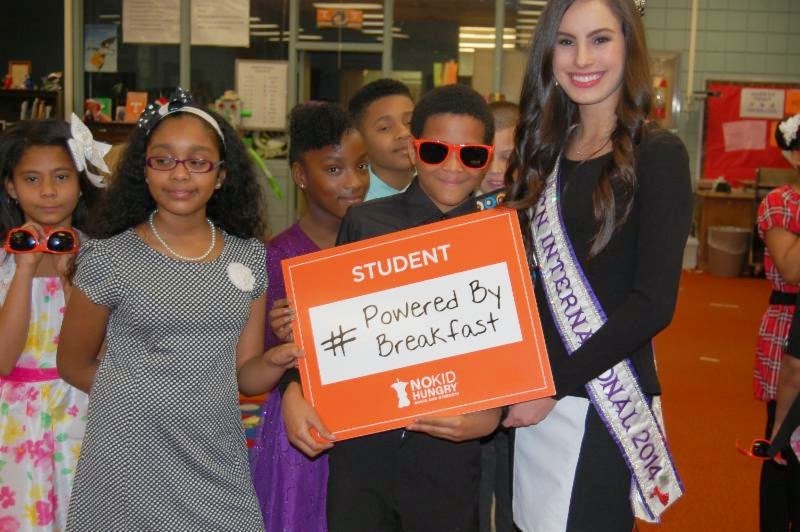 Consuming the most important meal of the day helps students focus, improves grades and standardized test scores, speeds up metabolism, gives students energy, and helps them feel happier! These are a few of the reasons Fuel Up to Play 60 has so many of our nutrition “Plays” about breakfast. One of my favorite Plays has been implemented at Taylor Elementary- Breakfast in the Classroom! 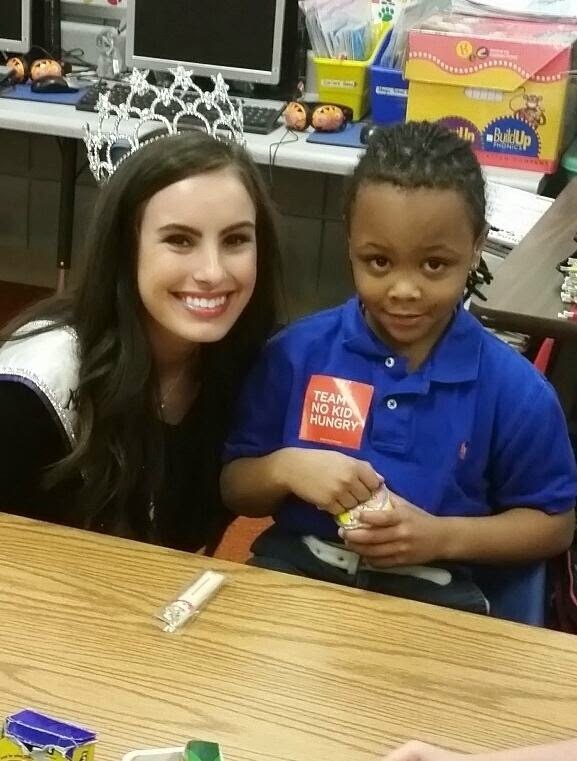 Each morning when students arrive at school, they have FUTP60 coolers delivered with a tasty, nutritious breakfast. It truly is an ingenious idea! So many students don’t eat breakfast because they don’t want to wake up early, don’t arrive to school on time for breakfast in a cafeteria, or they claim to just “not be hungry”. FUTP60 is overcoming these obstacles and guaranteeing that students start their days with fuel for their bodies. 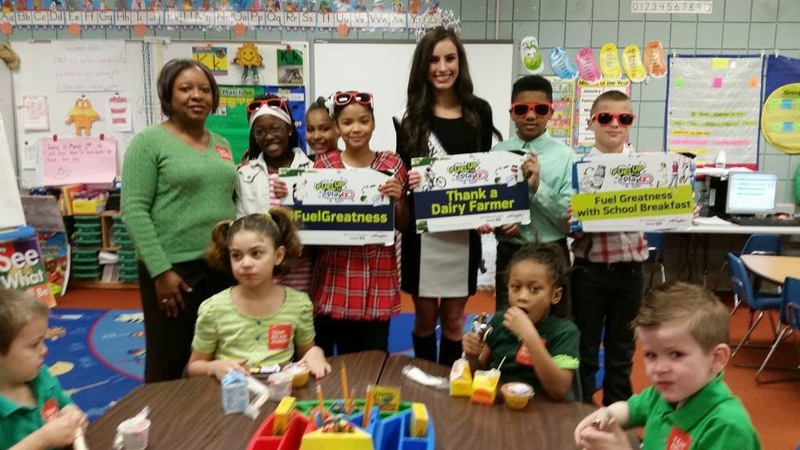 FUTP60’s spring campaign is Fuel Greatness because it isn’t possible for students to achieve the fantastic things they want to without proper fuel in their body. 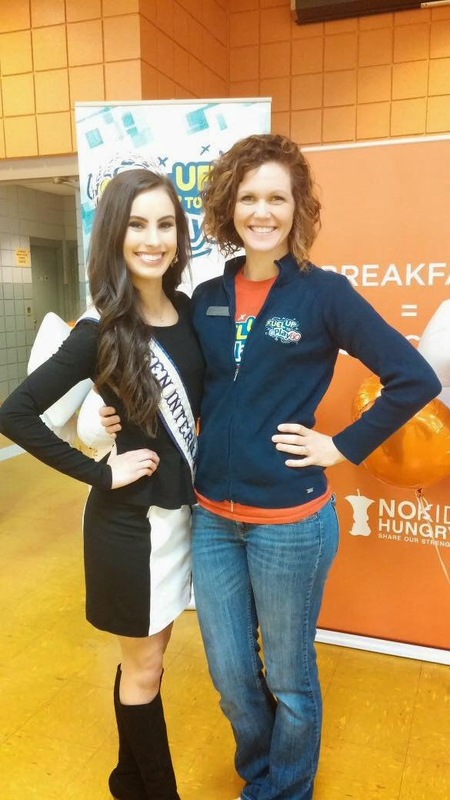 I was able to share about how I fuel up to be my best in school, as a dancer, and as Miss Teen International! It is so important for people of all ages to fuel his or her greatness each morning with a tasty and healthy breakfast!